It's a DR report. Two males in south stand arrested after complaints from others sat beside them. The first I've heard of actual arrests at Pittodrie for racist remarks. And a good bet they were not arrested for shouting any form of " sectarian " abuse, eh ? What is it with people going to the football and shouting racist sh1t, I genuinely thought we were getting past all that nonsense but it seems to be making a comeback - I heard boys behind me at the LCF constantly shouting fenian **** etc and it got tiresome. There's no need for it and although I don't like seeing football fans getting lifted if they have done it they will only have themselves to blame. Are fenians a race ?? I had a go at a lad in the RDS at the Killie game. He continually moaned about "coloured" players getting lenient treatment from the ref. I acted when he shouted "I'm not racist but we've got coloured players too, referee." Didnae get a lot of support from fellow fans. Just a wee thought, seeing as the soother houses fans from both teams has it been confirmed that it was actually Aberdeen fans who were arrested? What century are the weegies stuck in? No need for racism anywhere...one person is as good as the next whatever race. Racism ok? Did you read the other posts? Hibs on the friday night a few months back. There was a guy and his bird in the Y racially abusing Ambrose alot. The guy was also loving calling Lennon a fenian b@stard and the Hibs fans similar. F@cking morons. What was worse. They had their kid there and he was even abusing Ambrose. I have seen them there since too. We also were told by Mondo about the guy in his group at the cup final being a racist c@nt too. Things have been boiling over for a while all over Scotland. The players celebrating in front of the opposition fans seems to be a regular theme as well. Of course we do,what’s our average crowd this season,13-14k? There’s no way every single person out of 14000 people are going to be nice guys. Is that a question? I guess so by the question mark. No, I do not think that racism is ok.
Did you read the other posts? I’ve glanced over them. What’s your point? Well done. You've excelled yourself. Pretty sure it would have been AFC fans and almost definitely directed at Morelos. Racism has no place in football or life. For the record, i hate (and yes, i mean hate) Morelos more than Jack or McGregor because he is a bigger chunt than those other two. Also I am not sure if “hun” or “fenian” are racist terms. Alright. In context ;. 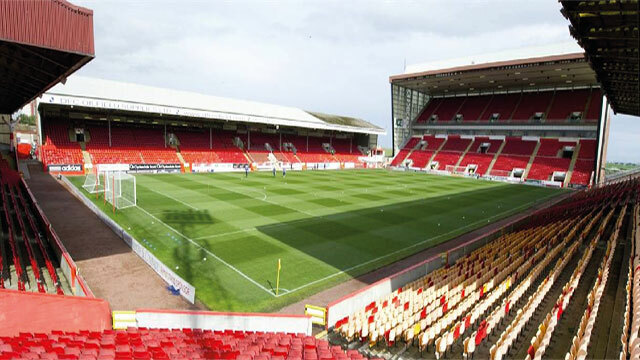 The stewards and Police st Pittodrie are grest at doing their jobs while policing the Aberdeen home crowd . But turn a complete blind eye,/deaf ear to the very loud snd very blatant bigotry and sectsrian bile from several hundred , perhaps thousand. " Filthy huns "
Now by saying that , am I being racist ? Or is that an acceptable insult for the subhuman thugs ?